- The greenman is the male counterpart to the Mother Goddess. He is a guardian of all growing things, and an ancient symbol of renewal, fertility and rebirth. Altar cloth measures 3 feet square. Rayon batik. 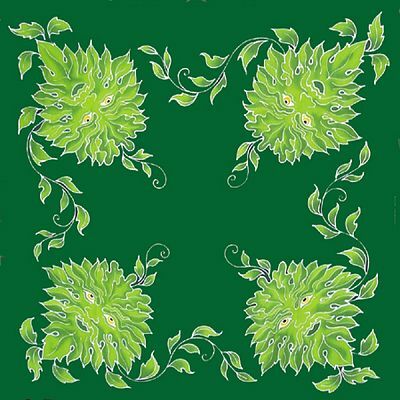 Do you have any other questions about our Greenman Altar Cloth?